(LENOX, Mass.) 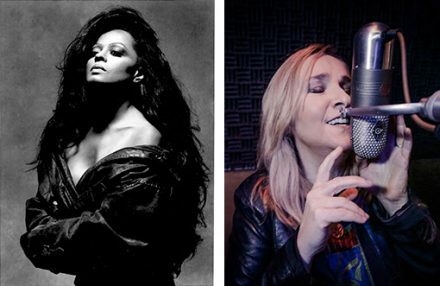 – Motown icon Diana Ross and rock singer-songwriter Melissa Etheridge have been added to the ever-growing 2017 Popular Artist Series at Tanglewood, with Ross appearing in the Shed on Wednesday, August 30, at 7pm, and with Etheridge joining Keith Lockhart and the Boston Pops for a season-closing performance on Sunday, September 3, at 2:30pm. Ross’s daughter, American singer and actress Rhonda Ross, will open her concert, the first since Ross last performed at Tanglewood in 1989. Melissa Etheridge made her Tanglewood debut that same year, and last performed in the Shed in 2013. Diana Ross rose to fame as the lead singer of the vocal group The Supremes, which, during the 1960s, became Motown’s most successful act. As part of the Supremes, her success made it possible for future African-American R&B and soul acts to find mainstream success. The group often vied for chart supremacy with the Beatles in the 1960s, releasing a record-setting twelve number-one hit singles on the US Billboard Hot 100, including the hits “Where Did Our Love Go”, “Baby Love”, “Come See About Me”, “Stop! In the Name of Love”, “You Can’t Hurry Love”, “You Keep Me Hangin’ On”, “Love Child”, and “Someday We’ll Be Together”. Ross was named the “Female Entertainer of the Century” by Billboard magazine. In 1993, the Guinness Book of World Records declared Ross the most successful female music artist in history, due to her success in the United States and United Kingdom for having more hits than any female artist in the charts, with a career total of 70 hit singles with her work with the Supremes and as a solo artist. Ross has sold more than 100 million records worldwide, when her releases with the Supremes and as a solo artist are tallied. In 1988, Ross was inducted to the Rock and Roll Hall of Fame as member of the Supremes, alongside Mary Wilson and Florence Ballard. She was the recipient of the Kennedy Center Honors in 2007, and the Presidential Medal of Freedom in 2016. She is a 12-time Grammy nominee, never earning a competitive honor, but later became the recipient of the Grammy Lifetime Achievement Award in 2012. In December 2016, Billboard magazine named her the 50th most successful dance artist of all time. Ross turns 73 years old on Sunday, March 26. 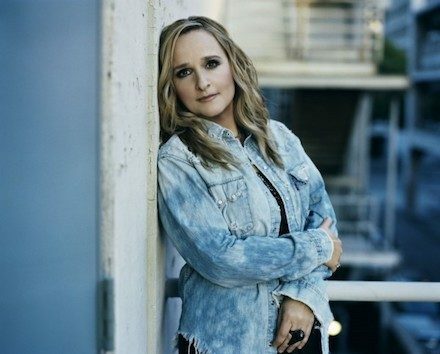 Melissa Etheridge, who turns 56 on May 29, performed the rare feat of being considered a mainstream, heartland rock singer-songwriter in the mostly male genre of musicians such as John Mellencamp (also coming to Tanglewood this summer) and Bruce Springsteen. Her self-titled eponymous debut album was released in 1988 and became an underground success. The album peaked at No. 22 on the Billboard 200, and its lead single, “Bring Me Some Water,” garnered Etheridge her first Grammy Award nomination for Best Rock Vocal Performance, Female. In 1993, Etheridge won her first Grammy Award for her single “Ain’t It Heavy” from her third album, “Never Enough.” Later that year, she released what would become her mainstream breakthrough album, “Yes I Am.” Its tracks “I’m the Only One” and “Come to My Window” both reached the top 30 in the United States, and the latter earned Etheridge her second Grammy Award. In October 2004, Etheridge was diagnosed with breast cancer and underwent surgery and chemotherapy. At the 2005 Grammy Awards, she made a return to the stage and, although bald from chemotherapy, performed a tribute to Janis Joplin with the Jerry Ragovoy-penned song “Piece of My Heart.” Etheridge’s performance was widely lauded, with India.Arie writing “I Am Not My Hair” about Etheridge. Etheridge is known for her mixture of “confessional lyrics, pop-based folk-rock, and raspy, smoky vocals.” She has also been a gay and lesbian activist since her public coming out in January 1993. Diana Ross and Melissa Etheridge join the Tanglewood 2017 Popular Artist Series line-up, which also includes performances by “Four Voices,” featuring Joan Baez, Mary Chapin Carpenter, Amy Ray, and Emily Saliers (6/17); Boz Scaggs and Michael McDonald (6/30); John Mellencamp with Emmylou Harris and Carlene Carter (7/1); singer-songwriter Natalie Merchant (7/2); James Taylor and his All-Star Band (7/3 & 4); humorist David Sedaris (8/20), and The Avett Brothers (9/1). 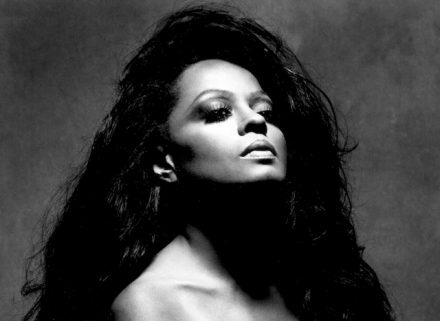 Tickets for the Wednesday, August 30, Diana Ross concert range from $12.50 to $149. Tickets for the Saturday, September 3, Boston Pops concert featuring Melissa Etheridge range from $23 to $124. Tickets for both concerts go on sale Monday, March 27, at 10 a.m. by phone at 888-266-1200 or online at Tanglewood.